Contribute to vcmi-android development by creating an account on GitHub. That’s great, many people looked for this for quite a long time . Runs sloooooow but without any problems on my galaxy S (i9000). I hope you will keep an eye on it for longer period of time than pelya did on his port . Actually I think someone should ask pelya to remove his old port from play store, just for visiblity of this one. 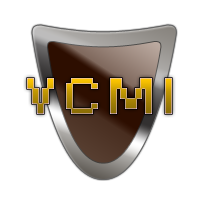 I’ve ported VCMI for Android, using pelya’s SDL port. New towns, arts and creatures support is also working? That’s actually working Android port? That would be great. That’s 0.94e (r3749), is it affected? I’ll update it as soon as the next version is released. I also don’t think it’s a good idea to packge the latest SVN version (maybe in a separate “vcmi nightly” package though? ), it seems that there was something about savegame format not being compatible between latest revisions(?). Fix came out after 0.94e, in rev 3762. So there may be some problems with loading saves. Yes - packaging current svn is not the best idea but that’s what our “dev builds” are - builds from latest svn for testers. So there won’t be much difference between dev build and current svn stability-wise. Only our “full” releases can be considered to be stable. As for saves compatibility - usually there is no guarantee that saves from different revisions will work but actual format changes are relatively rare. Just installed this, seems to work very nicely. Big thanks for this!! Ivan, right, this makes sense. I think I’ll follow this and after 0.95 release switch this package to stable version and create a new one (“VCMI for Android Beta”) which will follow your dev versions releases. edit: just tried 0.94 stable and it seems AI works a lot faster there, is that expected behavior? just tried 0.94 stable and it seems AI works a lot faster there, is that expected behavior? can you post the whole code on git? i konw that your achievement.and i’m not a progranmoer.only wish more people to join the program,make it more palyable. 2.can you post a single apk file for android? disabled shared memory: that’s quite direct way to fix problems with missing shared memory. But won’t it cause some problems on startup if client will try to connect to not-yet-present server? disabled unicode conversion: should be fixed. Because that code is needed for support of localized versions of H3 (like Russian version). I think I’ll follow this and after 0.95 release switch this package to stable version and create a new one (“VCMI for Android Beta”) which will follow your dev versions releases. Something like “VCMI daily/weekly/monthly build” would make more sense - our dev builds are more like preparation work before release and Win-only. Archlinux user-provided repo (aur) has vcmi-svn package, Ubuntu has daily builds from svn on launchpad. This shouldn’t cause issues because client tries to reconnect to server every 2 seconds. Not sure, maybe I’ll look into it. Using shared libraries (libvcmi.so, various AIs) makes it segfault at random places (in calls between them I guess? ), this is not too hard to solve and just statically linking everything and hacking CGameInterface.cpp’s to not use dlopen/dlsym seems to solve this one. and maybe in some other places? makes it run but that’s a really bad solution to this problem. VCMI should work with unaligned access. AFAIK vcmi runs without issues on Android devices inside Linux chroot. enabling of set of unaligned read methods. Which are used in defhandler. Maybe that check is not triggered on Android? Wow, the android finally got some love. But I don’t have anything with that system. Still, your nick should be written in some sort of hall of fame. Is there anything like that on this forum? i have same problem until switch on wi-fi. If i understodd correctly, SDL need to download something from internet. I am very happy particularly to see that the actual patch is quite small. Reportedly Qt 5 does support Android so it should be possible. Not quite… Perhaps I could create a group for accomplished contributors and then add some visual sign of membership. But… I’m too lazy. I made the thread sticky and I’ll mention it in the next release announcement.